My husband often gets to markets that I can’t go to but he will always buy me something little he knows I will like. Two weeks ago he spent the day in another town and visited a market, saw this and knew he had to get it. He paid $40 which is alot more than we usually spend, but it’s just such a beautiful thing. 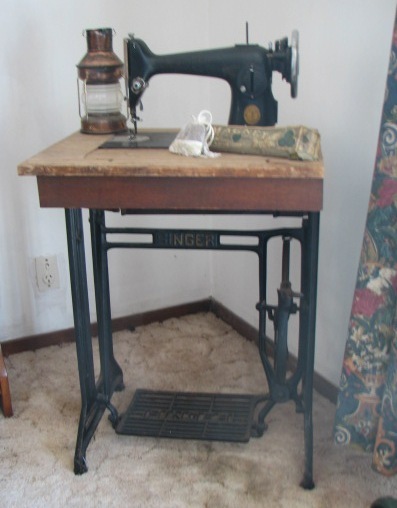 The sewing machine below was my Christmas present. It was on an on-line auction, starting bid at $2 so he thought he would bid in case he could get it at a reasonable price for a surprise for Xmas. No one else bid and he got it for $2. Thrifty shopping doesn’t get much better than that!! My home has alot of bird’s nests in it. I love these little creations and they add alot of character I think. I never take them out of trees but my husband has found most of them for me in different places. 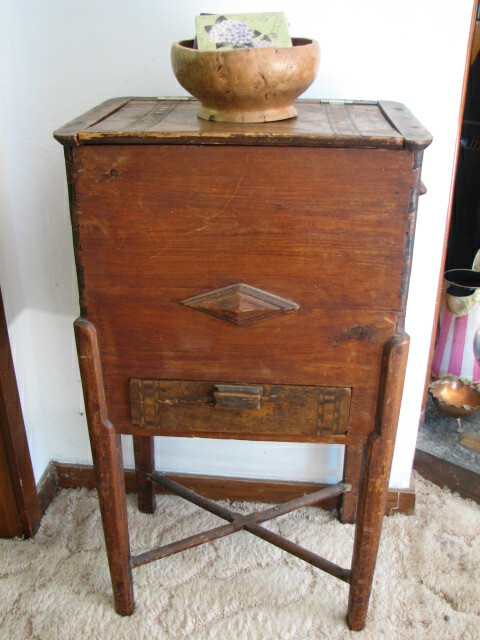 I love anything from nature and have lots of treasures found of the beach etc. 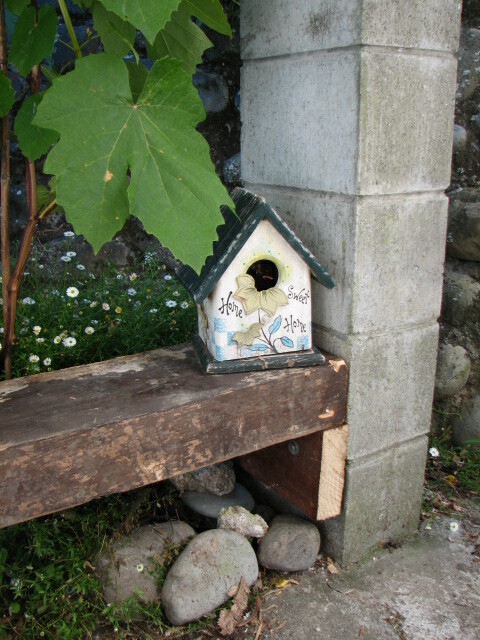 I also love bird houses and this little spot is a favourite little nook in our garden. The bird house was 50 cents at a garage sale, the bench made by my husband from a beam of wood he snaffled from somewhere. 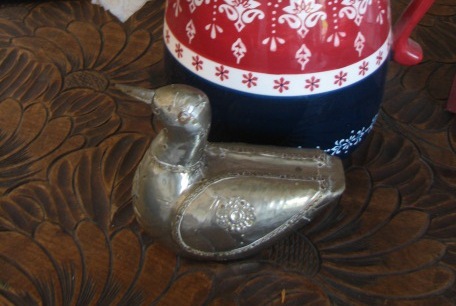 And this wee bird is a favourite of mine, bought a few years back for $1 If I remember right. These things bring me so much pleasure, for a total of $1.50! !